Throughout the 1930s, a flaming fluff of red hair was all that could be seen whenever William Peden flashed by, taking the lead on cycling tracks around the world. One journalist remarked that he looked like a torch, blazing ahead of the other cyclists towards the finish line. The name stuck, and "Torchy" Peden's racing career caught fire. A native of Victoria, British Columbia, Peden began racing in 1925. While working for a B.C. logging company, he began to train intensely with hopes of reaching the next Olympic Games. After a full, physical day of work, he would pedal 25-30 miles, take a bath, go to bed, and start all over. Peden's hard work paid off when a successful run at the Olympic trials set him on his way to the 1928 Games in Amsterdam. A string of bad luck, however, led to two punctured tires and a 27th place finish in the 103-mile time trial. Sorely disappointed by his mediocre performance, Peden decided to stay in Europe, tour the cycling circuit, and redeem himself. Over the next three months, he defeated the world's best cyclists at prestigious races in France, Poland, England, and Scotland, setting numerous records along the way. In 1929, Peden returned to Canada and swept the indoor Canadian championships in Montreal, claiming five titles and setting four records. He turned professional later that year and quickly established himself as a leading Canadian cyclist. 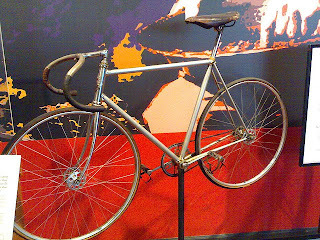 Also in 1929, Peden discovered and developed a lasting passion for the six-day bicycle race, an event in which teams of two riders cycle in shifts around an indoor track for six days straight, covering a distance of more than 2,000 miles. At the peak of the depression years, the six-day race was one of the most popular forms of entertainment because tickets were cheap and patrons could stay all day (or night) if they wished. The cyclists would cater to the audience, picking up speed and trying to gain laps when the crowds were biggest. Torchy was known for his crowd-pleasing antics. He would appear on the track in an outrageous outfit, or he would steal spectators' hats and scarves and ride a few laps before giving them back. Peden was one of the biggest stars on the six-day race circuit, not only for his showmanship but also for his incredible winning record. In his first four years on the professional circuit, the "Babe Ruth of Bicycle Racing" won 24 of the 48 races he entered. 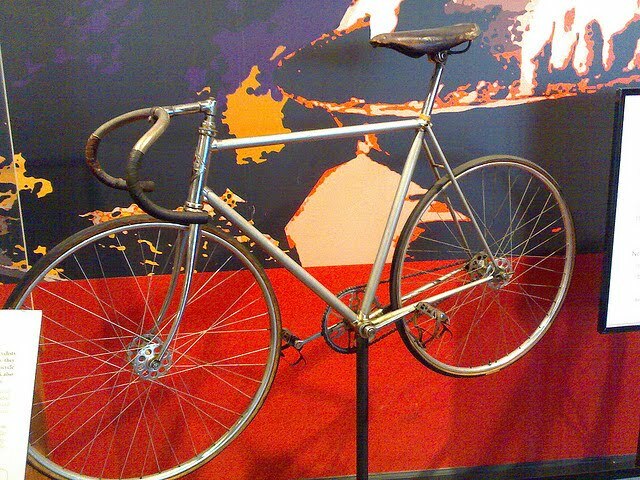 Between 1929 and 1948, he competed in 148 six-day races and collected an astounding 38 wins. 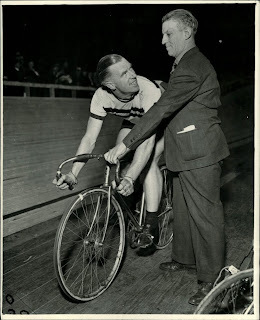 Cyclists were among the best paid athletes in those days, and Torchy was rumored to have made up to $50,000 in a year. He teamed with various riders from all corners of the globe throughout his career, but his most memorable victories were the ones he achieved with his brother Doug, an equally gifted athlete. Torchy also participated in a number of promotional stunts over the course of his career, the most famous being in 1931. While riding behind a car equipped with a special vacuum to help shield him from the wind, Peden reached a record speed of 73.5 miles per hour, covering a mile in less than 50 seconds. Peden never again competed in the Olympics, but he returned to help with the coaching of the Canadian cycling team in 1932, and the track team, in 1936. He competed in his last six-day race in 1942, as the Second World War was approaching and the event's popularity was dying out in North America. He served with the Royal Canadian Air Force for the next few years, and competed in his last professional cycling race in 1948. For the rest of his life, Torchy dreamed of resurrecting the six-day race, but there was never enough interest for the event to take off again. He settled near Chicago in the 1950s and opened a sporting goods shop. He soon became known as an expert at fitting skates and served the stars of Chicago's NHL team. Peden passed away in 1980, but his outstanding record still endures. 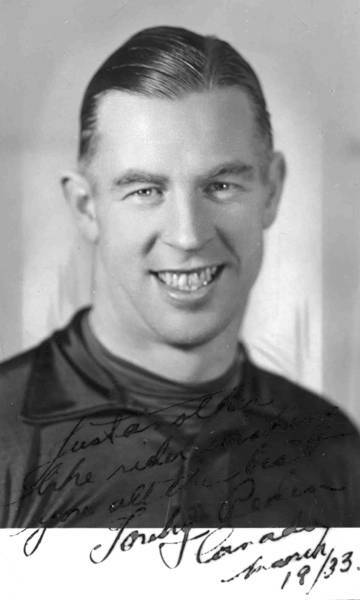 In Canadian Cyclists top 100 cyclists of the 20th century, Peden ranked an impressive third.